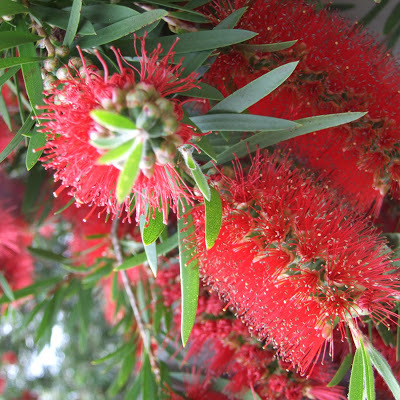 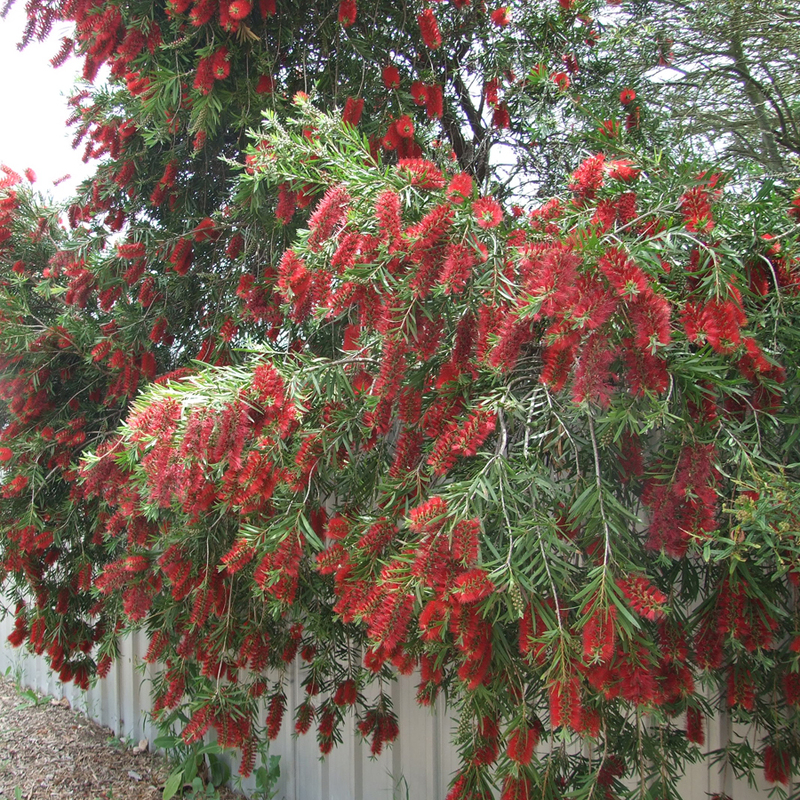 The kids and I usually walk to school during the week and the bottle brush at the top of the hill has been flowering for the last month. I wish I had taken some photos of it a few days ago when it was at its peak, the flowers looked like red velvet. 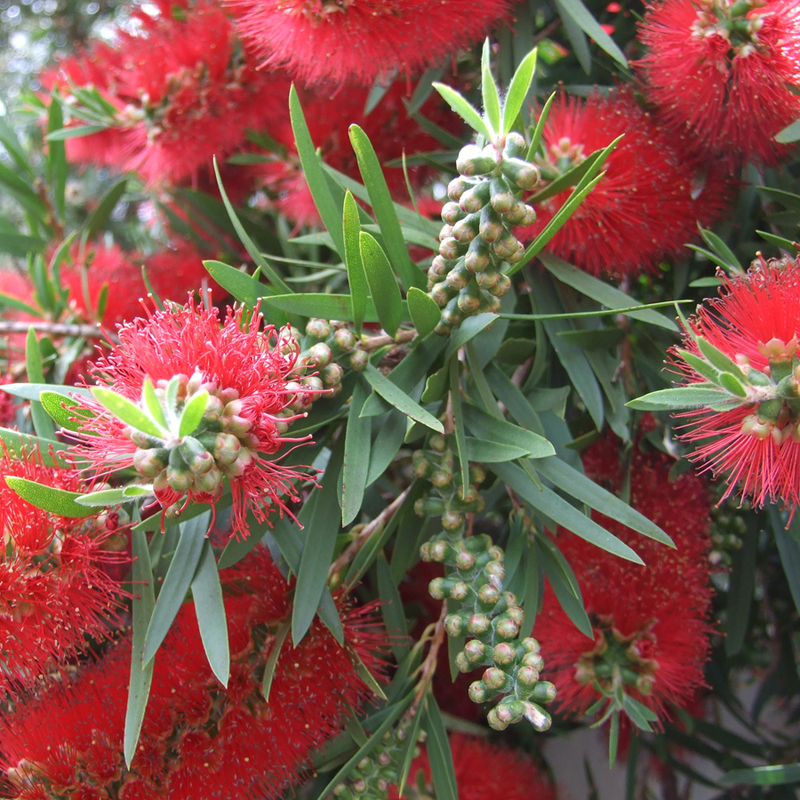 When they start flowering it reminds me that Christmas is just around the corner. 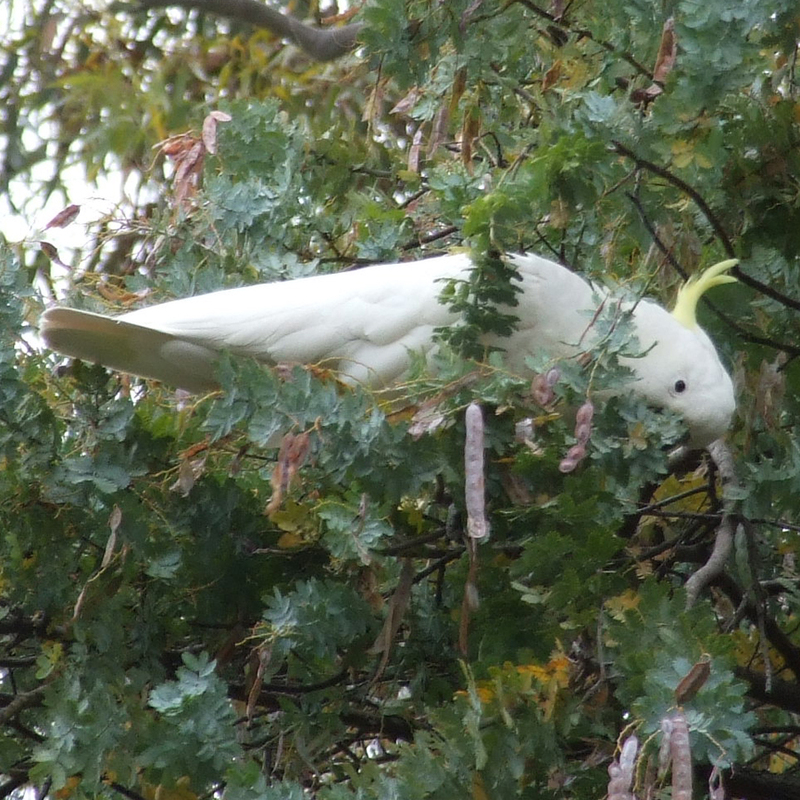 On the way home from school we spotted some cheeky cockatoos in the wattle tree having a feast on some seed pods. 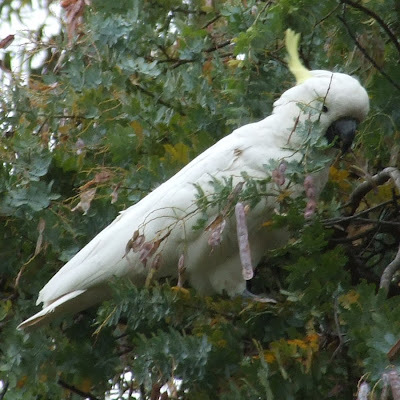 When the weather starts warming up here the cockatoos, rosellas and rainbow lorikeets start appearing. There were three black cockatoos in the garden the other day that usually make an appearance every year.